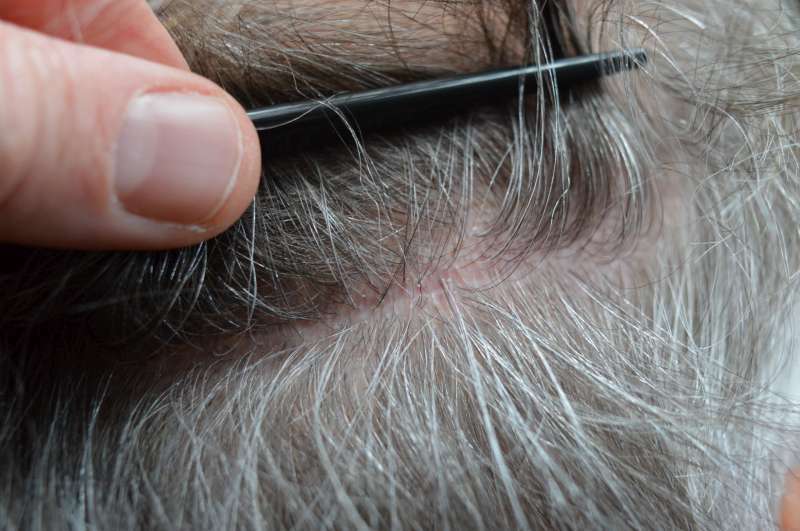 He decided at that time due to the success of the first procedure he would like to address the crown and tweak the hairline in a next session and started loosening his scalp to prepare for surgery. He returned to Vancouver mid March last year where Dr Wong was transplanted 1639 grafts into his crown, tweak the hairline and some temple point work . I followed up with this patient at his house at the start of January this year and these photos represent his progress so far at just under 10 months since his second surgery. I have included a photo of his scar that has healed very well after 2 sessions. I’m happy to see this result as the patient was such a nice fellow when I met him. I’m sure he’s thrilled and excellent work by Dr. Wong as always.